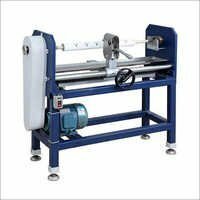 We are a proficient organization engaged in manufacturing and exporting the finest quality Manual HSF Paper Core Cutting Machine. The entire range of machine is manufactured in accordance with the set industry standards by making use of supreme quality components. It is demanded in paper mills, printing industry and binding house for cutting the paper in required shapes and sizes. Additionally, this Manual HSF Paper Core Cutting Machine is available for our valuable customers at marginal prices.